Leaving Thursday for Charlotte, NC to give a demo and to teach a three-day workshop at Nancy Couick Studios. The workshop, "Going Beyond A Likeness", will focus on solid design and color harmonies to create an expressive work of art, as opposed to a merely copying a photo. 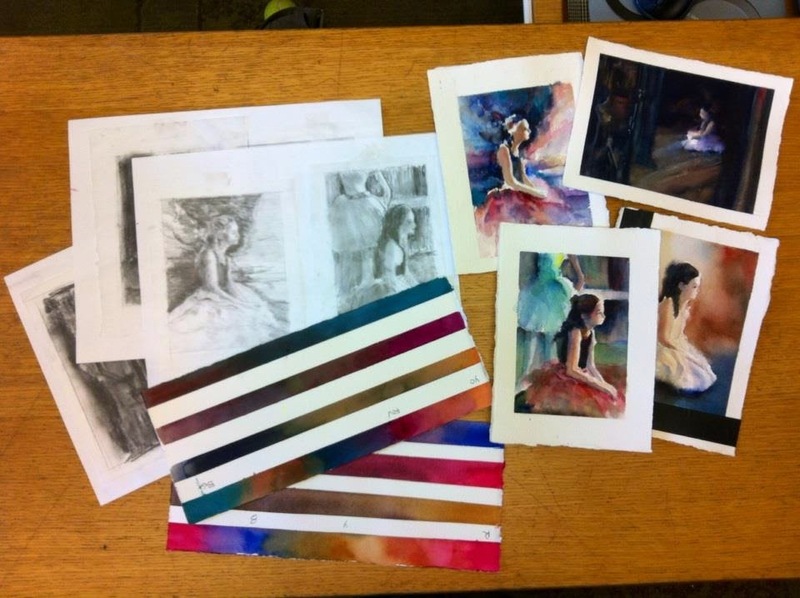 Above are thumbnail sketches, color studies and color strips that we will be working on. Stayed posted for an update from the workshop.